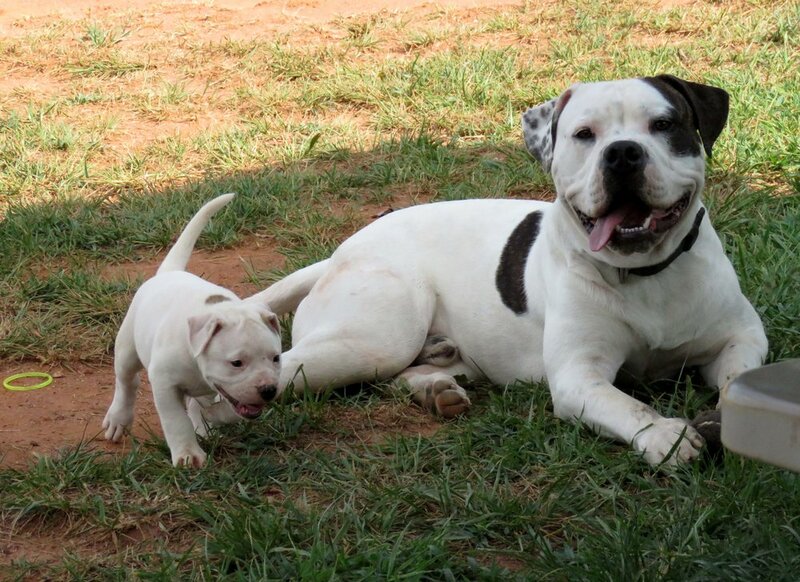 Our American Bulldogs are a very important part of our everyday life around Gunslinger Kennels. At any given time, we have 3-5 adults and young adults plus a house-training puppy running loose in our home with our daughter and cat. Often times, I whelp smaller litters in the house, and those pups grow up under foot amidst general household chaos. I added this page to showcase the dogs in their more casual, but honestly, most important role...as family companions.